Champagne and oysters: The light and sweet flavor of the champagne balances the saltiness of an oyster. White wine and fish: Fish has a delicate flavor that matches white wine. Pair these two to avoid one overwhelming the other. Red wine and red meat: The hearty taste of red meat can only be balanced with the rich flavor of a red wine. It also goes well with cheese. Strong beer with strong flavor food: You will want a beer that will balance out the flavor of your food, not overpower it. However, feel free to combine a bitter beer with a sweeter dish for some contrast! 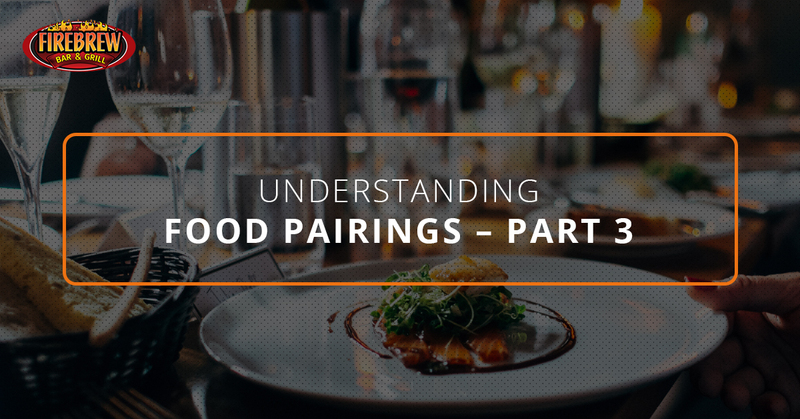 Today, we would like to share some of the top ways to pair your cocktails with food! While these two have always gone hand in hand, now you can begin matching them to liven up the party and find food options to balance that strong cocktail. Keep in mind that flavor usually comes more from the mixer than the liquor itself, so keep that in mind while you are pairing. For example, you’ll find that the lemon taste in a margarita goes great with fresh seafood! Strong alcoholic drinks, such as martinis, margaritas, and cosmopolitans, tend to pair wonderfully with foods that can soften the harsh taste of alcohol. For example, fish can be a great choice. Gin, which has been infused with juniper, tends to work well with a classic shrimp cocktail. The layering of botanicals in a good gin makes it a great partner to a seafood platter or grilled prawns, as well. Whiskey comes in all sorts of flavors and styles, but regardless of how it is delivered to you, it pairs wonderfully with steak. If you aren’t that passionate about red wine but still want a nice pairing with your steak, whiskey is your top choice. Make sure the beef is marbled and aged, and always try to choose a smooth and smoky whiskey to match it. Vodka is typically served ice cold and with caviar and smoked fish. We have also found that it goes great with any pickled items. Russian tradition encouraged people to drink their vodka neat, chased by a sour gherkin or pickled onion. If you would like to try some of these incredible pairings for yourself, be sure to come see us tonight! We look forward to seeing you and helping you pair your favorite alcohols with one of our incredible dishes. Whether you want a steak and a tall glass of red wine or a glass of whiskey, we can help. Try our self-service wine station and let us know what you think, or order one of our amazing beers on tap!